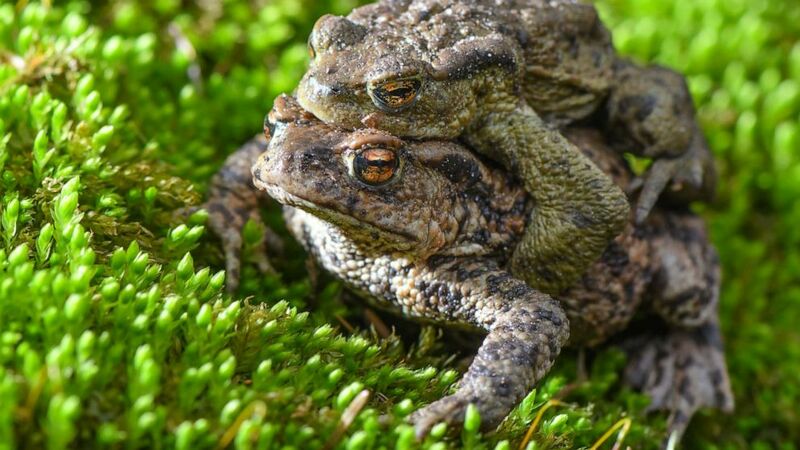 camera (Patrick Pleul/picture alliance via Getty Images) A pair of earth toads (Bufo bufo) crawl over moss on the edge of a small pond, March 22, 2019. A Florida suburb is being plagued by thousands of poisonous toads. Experts say the amphibians are bufo toads, also known as cane toads. Residents in the infested Palm Beach Gardens neighborhood worry toxins secreted by the toads will harm their pets and children.